Twenty-thirteen. The year I travelled to five countries: Mexico, Brazil, Argentina, Vietnam and Thailand. The year I directed a business school musical and then performed the show on a broken foot (great story), and then graduated from said business school. The year I left Chicago and all it's culinary delights behind - after over ten years - to start over in New York City with a brand new career, and a new life in the big city. This was a good year. Truly the best way to visit a country where you are very unfamiliar with the language and culture is to see it with someone who lives there. 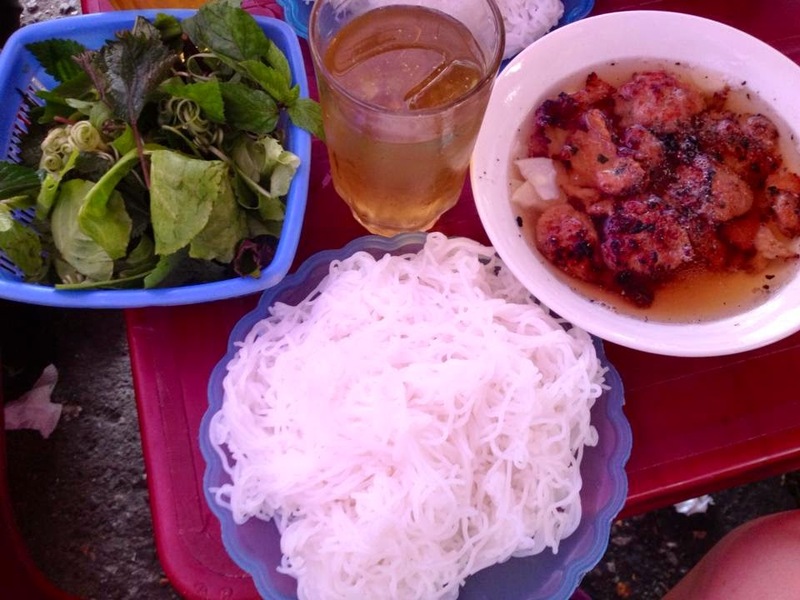 Luckily, one of my travelling companions to Vietnam/Thailand had a close friend from high school living in Hanoi, who took us to one of his favorite street-side Bun Cha places. Seated atop little plastic stools, we used chopsticks to dip noodles, meat, and greens into a sweet, vinegar-y sauce and chowed down. Truly delicious - and more proof that the world's best food isn't always in Michelin-starred restaurants - it can be often found right on the street. 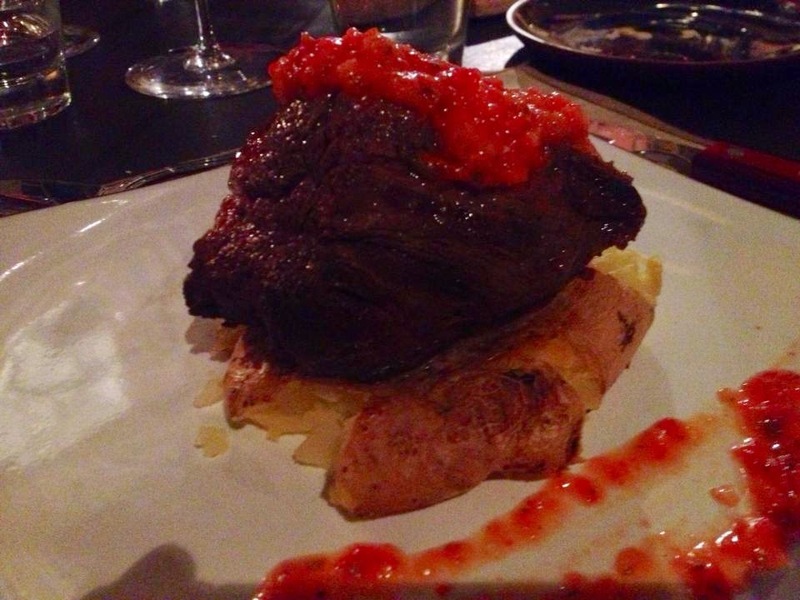 In Argentina, that land of fantastic wine and grass-fed steak, the culinary highlight of our trip was a closed door dinner we attended during our time in Mendoza. Essentially, the owner of a gorgeous home within the city opens his doors to strangers (who have, of course, made reservations by email in advance), and hosts a dinner party. The set menu included a wine cocktail hour, passed hors devours, salad, appetizers (delightful little empanadas, soft bread and butter, other bites and vegetables), wine (of course), a main course (steak, pictured below), and desserts (dulce de leche, fried sweet delights). About twenty guests were seated at tables indoors and on the outdoor patio, bathed in the glow of strings of little white lights. The atmosphere was magical, and the food was nothing short of fantastic. A truly memorable evening and meal. Ko Phi Phi, iconic location of "The Beach", is about as close to paradise as I've ever experienced, even if it was pretty full of tourists (and understandably so). Turquoise waters wash up on pure white sand beaches, the locals are friendly, and the scuba diving is top-notch. We stayed on the more "quiet" side of the island, in a tree house at Viking Nature Resort. Highly recommended. On the walk between our side and the other side of the island (lined with bars, hostels, and college-age Australians), is a small shack of a restaurant called Orange, run by a strange, cackling lady with a pet monkey. It had been recommended to us by our scuba instructor - and predictably, it was fantastic. 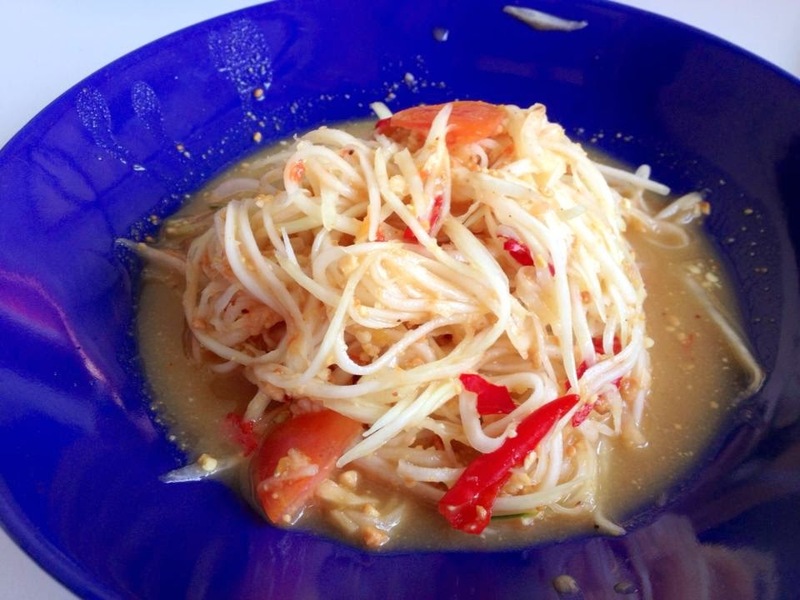 The papaya salad was especially fresh, spicy, and incredibly delicious as part of a post-scuba, pre-beach lunch. Our first night in Buenos Aires, we took to exploring the hip, fun neighborhood (Palermo Soho) around our hotel. We headed to Plaza Serrano, where there was a big open-air art and craft market, and dozens of bars and restaurants with doors and windows flung wide open to the warm late-summer breeze. After walking the streets around the Plaza for a while, we came upon a small, new restaurant that a Canadian couple sitting outside convinced us to try. I didn't write down its name, and now I can't find it on the internet - but trust me, it's real. 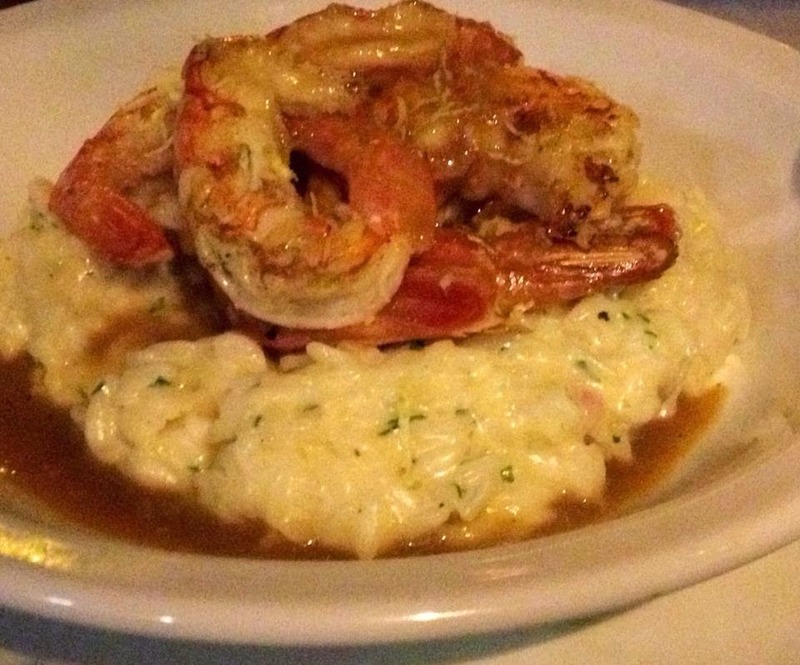 Sure enough, the food was completely fantastic - from a pate appetizer, to our main courses (shrimp risotto pictured below), to the orange ice cream and brown butter cake dessert. Seated at our table on the sidewalk, taking in the sights of the evening, it was a perfect moment with a perfect meal. Even though I only spent four months of 2013 living in New York City, having done some pretty exciting food tourism in other countries the former months of the year (see numbers 1-4 above), I would be remiss not to call out one of my favorite New York eateries discovered in 2013. 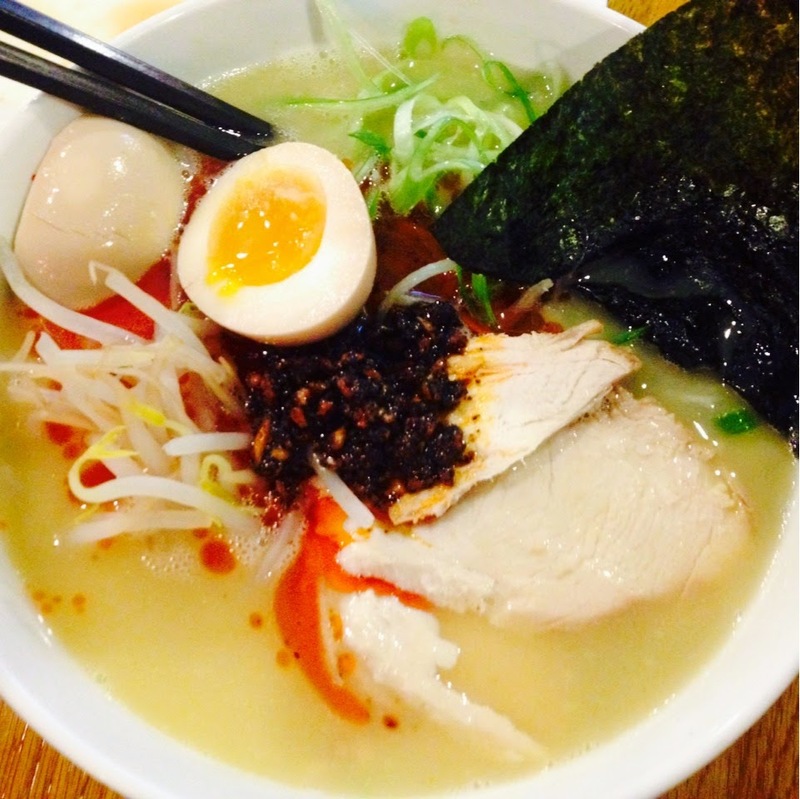 Ramen is becoming 'a thing' now (you can even get it as a bun to your burger), but Totto Ramen does it best. With two locations in Hell's Kitchen, the long wait is worth it for the reasonable prices and the hot, salty, steamy bowl of noodley deliciousness. It was ideal when the polar vortex descended over New York last winter, and remains a delicious comfort any day of the year (except for maybe those really super hot summer days). Next up: a trip to Japan to see how Totto compares to the real stuff. For more frequent food updates including where I'm eating, what I'm cooking, favorite bites, drool-inducing pictures and so forth, follow my blog Things I Ate in New York on Tumblr and check back here for longer, less-frequent recaps and updates.